Welcome to Lootmeister's free college basketball picks page! Here you'll find some of the sharpest predictions against the point spread found online! Our NCAA basketball handicappers have over 20 years of experience at forecasting point spreads. We took a ton of lumps over the years while learning the ins and outs of how to successfully handicap college basketball games properly. Coat tail our picks and let us help you skip that painstaking process of trying to learn how to win on your own. Handicapping college basketball games is a grind as there are TONS of games on the card each day. It's almost impossible for a guy with a 9-5 job to properly assess each day's card. We go over every game with a fine tooth comb to determine which odds offer the most wagering value. Often times, this leads to us backing small schools as the oddsmakers don't spend much time crafting these spreads as these games don't get much attention from the public. You're going to love our style! Please bookmark the Lootmeister site and check back daily! Plays are usually released by 5PM EST. Why so late? Because we need time to properly handicap all the games! Enjoy! Sunday, March 23rd: Texas Tech Red Raiders money line -190 (won 78-58), Virginia Tech Hokies -9 (67-58), Oregon Ducks money line -230 (73-54). 3/20/19: Wichita State Shockers +5 (won 76-70). 3/19/19: Robert Morris Colonials on the money line @ -125 odds (Won 98-89). 3/18/19: Quinnipiac Bobcats +5.5 (lost 81-92). 3/17/19: Today's lines are TIGHT as heck. No value. Passing. 3/16/19: Wichita St. Shockers again at +5.5 (Won 63-66). 3/15/19: Wichita State Shockers +1.5 (Won 80-74). 3/13/19: Richmond Spiders on the money line at -200 (won 52-50). Fordham is 3-16 in their last 19 games and have consistently shot in the mid 30-percentline range over the past 9 games. Laying -200 is usually a very bad proposition, however win, lose or draw, this is a value play as I make Richmond an 84% favorite vs. the money line with the current variables in play. 3/12/19: Northeastern Huskies money line -145 (won 82-74). These teams matchup on paper, but Northeastern is much more impressive of a team based on strength of schedule. Public hammering Hofstra, line going other way. Nice indication of sharp betting action. Risking 2.9 units to win 2. 3/9/19: Yale money line -155 (won 81-59), Columbia Lions +3 (won 81-83), San Diego St. +13.5 (lost 53-81), BYU -3.5 (lost 57-80). 3/8/19: Brown Bears +4 (3.3 units to win 3)(67-63 straight up winner). 3/7/19: Pacific Tigers +1.5 (lost 53-61). 3/6/19: Rice Owls +2.5 (Won straight up 79-70). 3/5/19: Florida State Seminoles -3.5 (Winner 73-64). 3/3/19: Maryland Terrapins -1 (lost 62-69). 3/2/19: Denver Pioneers +3.5 (lost 76-86). 3/1/19: St. Peters Peacocks +2 (lost 60-77). 2/28/19: Xavier Musketeers +4.5 (won 84-73). 2/27/19: Ole Miss +5.5 (Winner 71-73). 2/26/19: George Washington Colonials +10 (Got smoked 53-80). Rhode Island has only shot 33% from the field over the past 5 games. They've sucked on defense as well, allowing opposing teams to shoot 49.8 over those games. It appears that they've given up. George Washington is a meager team, but has been shooting well so should be able to get a cover here. 2/23/19: San Jose State Spartans +12.5 (lost 68-82), Dartmouth +6 (won 65-68), Portland Pilots +11.5 (won 80-86). 2/21/19: Brigham Young Cougars -4 (lost 71-77). 2/20/19 San Diego State Aztecs +8 (Won straight up! 65-57). 2/19/19: Eastern Michigan Eagles +3 (won 76-69) and Missouri Tigers +11.5 (winner 58-66). 2/18/19: I don't see any edges and have been cold as ice so going to pass today. 2/16/19: Air Force Falcons +10 (5.5 units to win 5)(lost 62-76) and Portland State Vikings on the money line -165 (won 78-69). 2/15/19: St. Peters Peacocks +8.5 (2.2 units to win 2 units)(lost 46-62). 2/14/19: Arkansas State Red Wolves +4.5 (lost 74-84). 2/13/19: Evansville Purple Aces +3.5 (lost 56-68). 2/12/19: Purdue money line -145 (2.9 to win 2)(lost 56-70). 2/11/19: TCU Horned Frogs on the money line -135 (lost in OT). 2/10/19: Stanford Cardinal +5 (lost 46-69). 2/9/19: San Diego Toreros -3 (lost), Weber St. Wildcats -4.5 (won), UNLV Rebels +1.5 (lost), SIU-Edwardsville Cougars +18.5 (lost), UC Riverside +5 Highlanders (lost), West Virginia Mountaineers +3.5 (lost). 2/8/19: St. Joseph's Hawks +2 (won 91-61). 2/7/19: Pacific Tigers +14.5 (Won 66-78). 2/6/19: Cal State Northridge +8.5 (3.3 units to win 3)(won 64-70). 2/5/19: Akron Zips +7 (lost 52-63) and NC State Wolfpack +10 (lost 96-113). 2/4/19: Penn State Nittany Lions +3.5 (Won 59-52). 2/2/19: North Carolina Tar Heels ml -135 (won 79-69), Mississippi St. Bulldogs +1.5 (won 81-75), Tennessee Tech Golden Eagles +14 (won 63-67), Idaho State Bengals -1.5 (winner 69-67), Idaho Vandals at a pick'em (lost 73-86). 1/31/19: Oral Roberts +11 (2.2 units to win 2) (winner 80-86). 1/30/19: Boston College +2.5 (lost 71-77), Air Force +10.5 (loss 51-66). 1/29/19: Mississippi St. Bulldogs +1.5, Texas Longhorns money line -123, Vanderbilt Commodores +9.5, Ohio St. Buckeyes +9. 1/27/19: St. Peters Peacocks +5.5 (lost 58-77. 1/26/19: Eastern Washington +4 (3.3 units to win 3 units). 1/25/19: Indiana Hoosiers +4.5 (lost 46-69), Kent St. Golden Flashes +8 (lost 79-88), Browns Bears +7.5 (loss 71-79), Butler Bulldogs +2.5 (lost 61-75), Rider Broncs -3 (lost 71-77), Quinnipiac Bobcats +2 (won 92-78). 1/24/19: Louisiana Lafayette -9.5 (lost 88-84), Belmont +5 (won 79-66), Middle Tennessee State +4 (lost 68-79). 1/23/19: Missouri St. +3 Redhawks (won staight up in a 70-35 blowout), Lasalle Explorers +2 (straight up winner 73-71), San Jose St. Spartans +6 (lost 46-59). 1/18/19: Eastern Michigan Eagles +15 (won 65-77). 1/16/19: Creighton Bluejays +3 (lost 66-81), Alabama Crimson Tide -1.5 (won 70-60), Denver Pioneers +2.5 (won 80-65). 1/15/19: Georgetown Hoyas +1.5 (lost 71-74) and Boise St. Broncos +8 (won 71-72). 1/12/19: SIU-Edwardsville +14.5 (Goes off at 5PM ET)(Rotation Number 779)(lost) and Florida Gators +2.5 (lost). 1/10/19: Charlotte 49ers +8 (won 66-69), UT Arlington +6.5 (SU winner 82-72), SMU +2 (loss 64-76), Cleveland St. +8.5 (blowout loss 76-90), UC Davis +11 (3 UNIT BEST BET) (went to OT and covered 69-71), Monmouth +5 (bad beat loss 83-89), Eastern Washington +6.5 (won straight up 78-71). 1/9/19: West Virginia Mountaineers +4 (won 69-71), TCU Horned Frogs +6 (lost 68-77), Miami Hurricanes +10 (winner 62-68), Cal State Northridge Matadors Pick'em (won straight up 84-83). 1/8/19: Baylor +2 (Won 73-70), Missouri +8 (lost 63-87), Missouri St. +5.5 (won 72-57), Southern Illinois -2 (lost 70-82), South Carolina +5.5 (won 87-82), Canisius -1.5 (lost 90-97), Air Force +4.5 (lost 64-87). 1/7/19: Passing. Both games are junk. 1/4/19: What a pile of crap effort from Elon. After leading by 10, we end up losing as a +6.5 underdog. That stuff happens in betting, but it sure stings when it does! We're passing on today's crappy 4 game card. 12/31 and 1/1: I'm not going to try to guess who was out partying and who cares about competing. Results are always skewed around this party holiday so we're passing. 12/21/18: ROUGH beat last night with the Aggies up 10 at the half, only to lose by 10 straight up. Friday's best value bets are UT Arlington Mavericks at a pick'em (winner 75-70) and San Jose State Spartans +10.5 (won 80-88). 12/19/18: Under the weather so going to pass. 12/15/18: North Carolina Tar Heels -3 (Winner 103-90), Belmont Bruins +6.5 (Won straight up 74-72). 12/13/18: Tonight's two game card doesn't present any value so we're passing. 12/11/18: Today's card is garbage with no advantages to be had so we're taking a pass. We do have a play in the NBA though! 12/7/18: Idaho St. Bengals +4. (Won straight up 68-66. 3/30/18: North Texas Mean Green -4. 3/29/18: Penn State Nittany Lions -4. 3/27/18: Mississippi St. Bulldogs +2.5. 3/26/18: No edge to be had so we're passing. 3/21/18: Jacksonville St. Gamecocks +1. 3/20/18: No value so we're taking a pass. 3/18/18: Michigan State Spartans -9.5. 3/16/18: Lipscomb Bisons +22, Florida State Seminoles -1. 3/13/18: St. Bonaventure Bonnies +3.5. 3/10/18: West Virginia Mountaineers -1.5. 3/8/18: Marquette Golden Eagles +10.5. 3/7/18: Colorado State Rams +6. 3/6/18: Sacramento State Hornets +7.5. 3/4/18: I scoured today's card from head to toe and can't find any edges so am forced to take a pass. There is NEVER a reason to force the action. 3/3/18: UNLV/Utah State OVER 155. Neither team has displayed any interest in playing defense lately. While anything can happen, it wouldn't surprise me to see this one go above 170. 3/2/18: I hope you didn't watch yesterday's South Bama game. Our team inbounded the ball after a made free throw and the guy who caught it stepped out of bounds. You could watch 3000 games and not see that happen. We pushed, but should of had a winner there. I don't believe in luck, jinxes etc but if I did, I'd say we're hitting all that this week! Half point losses, ridiculous pushes, technicals resulting in losses, crazy stuff. On the bright side, we'll hit our streaks of "good" things happening. Today's play is the Eastern Michigan Eagles +5.5. They've been playing some GREAT defense (as well as shooting the ball well) and always play Toledo tough. It wouldn't surprise me if they steal one straight up here. 3/1/18: Congrats to all who snagged some money line duckets on SJ State last might! Beautiful! Tonight we like the South Alabama Jaguars at +7. S. Bama can have problems scoring the ball at times but Ga. Southern is playing absolutely no defense lately, going back almost 10 games. I like the Jags to keep it within the number. Drink some Pepto Bismol pregame because this one probably ain't gonna come easy! 2/28/18: Two half point losses in a row. Sickening! I REALLY like today's play. So much so, that I believe they have an outside shot of winning the game straight up. You might want to consider an 80% play on the spread and 20% on the money line. San Jose St. +7. 2/27/18: Kansas State Wildcats +6.5. 2/24/18: Oregon Ducks moneyline -265. 2/23/18: St. Peters Peacocks +1.5. 2/22/18: We've had some ROUGH beats lately with our teams in the game and then falling apart in the second half. Not making excuses! Just can't believe it! Today we like the Southern Utah Thunderbirds to cover the spread vs. the Portland State Vikings at +4. 2/19/18: 2 team money line parlay; Wisconsin/Kansas. 2/18/18: Evansville Purple Aces +5.5. 2/14/18: Western Illinois Leathernecks +11.5. 2/11/18: No clear edges to be had so we're passing. 2/10/18: Oral Roberts University +6. 2/9/18: Dartmouth Mean Green +7. 2/8/18: Idaho St. Bengals +6.5. 2/7/18: Va. Tech Hokies -6. 1/27/18: Alabama Crimson Tide +1 (2:15PM EST). 1/21/18: Washington St. Cougars +10.5. 1/20/18: Northern Arizona Lumberjacks +10.5. 1/19/18: Today's card offers no value so we have to pass. 1/18/18: Idaho State Bengals +8. 1/17/18: San Jose St. Spartans +17. 1/15/18: West Virginia Mountaineers -5.5. 1/11/18: Portland State Vikings -8.5. 1/8/18: We are passing on today's troika of games because they're JUNK! 1/7/18: NC Wilmongton +3.5. (Game tips at 2pm eastern). 1/4/18: Idaho St. Bengals -5. 1/3/17: New Mexico Lobos +9. 1/2/18: Colorado State Rams +7.5. 1/1/18: Happy New Year! Today's short card offers no value so we're sitting the sidelines. Thursday, December 28th: Portland Pilots +19. 12/23/17: Today's card didn't have any value whatsoever so we have to pass. 12/21/17: Idaho State Bengals +19. 12/20/17: Ran out of time and wasn't able to properly handicap today's card so have to pass. 12/19/17: South Dakota Coyotes +7.5 (Rotation number 571). Monday, April 3rd: Cheers to all who followed us this season and put a whoopin' on their bookie! Tonight's game really doesn't offer any wagering value so we're going to take a pass and be content with the profits. Please bookmark this page and come back and visit us next season! Sunday, April 2nd: No games scheduled. Final Four Picks: Gonzaga Bulldogs on the ML @-260 and Oregon Ducks +4.5. Friday, March 31st: Wyoming Cowboys -8. Tuesday, March 28th: We don't care for either of today's games so we're taking a pass. Sunday, March 26th: Florida Gators -3. Saturday, March 25th: Campbell Fighting Camels +6. Friday, March 24th March Madness Play: Florida Gators -1. Thursday, March 23rd Sweet 16 Prediction: W.V. Mountaineers +3. Wednesday, March 22nd: Central Fla. -3.5. Tuesday, March 21st: Georgia Tech Yellow Jackets/Mississippi Rebels UNDER 144. Monday CIT Play: Campbell Fighting Camels -1. Sunday, March 19th: Arkansas Razorbacks +11. Saturday, March 18th: NW Wildcats +10.5. Friday, March 17th: USC Trojans +7, Rhode Island Rams -2, Kent St. Golden Flashes +18.5. Thursday, March 16th: Florida Gators -10 (3:10PM EST), Middle Tennessee St. -1.5 (4PM EST), North Dakota Fighting Hawks +17.5 (9:50PM EST). Wednesday, March 15th: North Carolina Central -3.5. Tuesday, March 14th: Missippi Rebels +2. Monday, March 13th: No games scheduled. Sunday, March 12th: No value so we're taking a pass. Saturday, March 11th: Notre Dame Fighting Irish +4.5. Friday, March 10th: Iowa St. Cyclones -4.5. Thursday, March 9th: Houston Baptist -2. Wednesday, March 8th: Lehigh +4.5 (7:30PM EST). Tuesday, March 7th: Gonzaga Bulldogs -5 and Southern Utah Thunderbirds +9. Monday, March 6th: UNC Greensboro Spartans +5. Sunday, March 5th: Illinois State Redbirds +6.5 and UNC Greensboro Spartans -1.5. Saturday, March 4th: Santa Clara Broncos +1. Friday, March 3rd: Princeton Tigers -7. Thursday, March 2nd: UL Monroe Warhawks +8.5. Wednesday, March 1st: St. Louis Billikens +6.5. Tuesday, February 28th: St. Bonaventure Bonnies +3. Monday, February 27th: WVU Mountaineers at a +1. Sunday, February 26th: ECU Pirates +5. Saturday, February 25th: Pacific Tigers +1.5. Friday, February 24th Bet Recommendation: Columbia Lions +7.5. Thursday, February 23rd: So. Utah Thunderbirds +12. Wednesday, February 22nd: Utah St. Aggies +1. Tuesday, February 21st: Evansville Purple Aces +21. Monday, February 20th: Appalachian State Mountaineers +7. Sunday, February 19th: Connecticut Huskies +3. Saturday, February 18th: Cornell Big Red +10.5. Friday, February 17th: Columbia Lions +8. Thursday, February 16th: Oregon State Beavers +10.5. Wednesday, February 15th: San Jose State Spartans +7.5. Tuesday, February 14th: Toledo Rockets +7.5. Monday, February 13th: Syracuse Orange +3. Sunday, February 12th: Temple Owls +6. Saturday, February 11th: Gonzaga Bulldogs -4.5. Friday, February 10th: Niagara Purple Eagles +10. Thursday, February 9th: Pepperdine Waves +9. Monday, January 30th: Drexel Dragons +9.5. Saturday, January 28th: Idaho Vandals +6.5. Friday, January 27th: Cornell Big Red +6. Thursday, January 26th: Eastern Washington Eagles +6.5. Wednesday, January 25th: IUPUI +7. Tuesday, January 24th: Drake Bulldogs +9.5. Monday, January 23rd Play: South Alabama Jaguars +8.5. Sunday, January 22nd: Arizona St. Sun Devils +9. Saturday, January 21st: Sacramento St. +6.5. Friday, January 20th Prediction: Eastern Michigan Eagles +4.5. Thursday, January 19th: Arizona St. Sun Devils +18. Wednesday, January 18th: South Dakota State Jackrabbits +7. Tuesday, January 17th: Miami-Ohio RedHawks +10. Monday, January 16th: Providence Friars +6.5. Sunday, January 15th: Georgia Tech +8.5. Saturday, January 14th: Utah Utes +3. Friday, January 13th: Rider Broncs -1. Thursday, January 12th: James Madison Dukes +4. Wednesday, January 11th: Seton Hall +5.5. Tuesday, January 10th: George Mason +4. Monday, January 9th: Appalachian State +5. Sunday, January 8th: Oakland Golden Grizzlies/UIC Flames UNDER 153 points. Friday, January 6th: Iona Gaels +5.5. Thursday, January 5th: SIU Edwardsville +6. Wednesday, January 4th: Notre Dame Fighting Irish -1. Tuesday, January 3rd: Texas Christian -11. Monday, January 2nd: Western Carolina +8. Sunday, January 1st: Drake +7. Note: This season's picks will start around January 1st. 2017 National Championship Futures - Wait, the smoke has barely cleared from the NCAA tournament final and we're supposed to be thinking about next season's champion already? Sure, it's early. A lot hasn't even been decided yet. But good betting value waits for no one and those who have mentally latched on to some good picks can lock in some teams at great odds. Early bird gets the worm! Click here for more! Common Handicapping Mistakes for Beginners - All bettors are different, They have different strengths, weaknesses, and overall tendencies when betting on college hoops. At the same time, beginning bettors of NCAA hoops tend to make the same miscues and look at betting the same way. 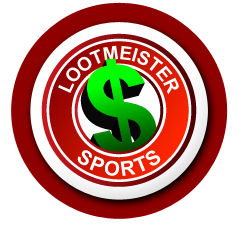 In this article, Loot reviews some of the more telltale signs of a beginning bettor so that you can eliminate that junk from your betting outlook. Click here to read more! Having it Right But Getting it Wrong - If you plan on betting on college hoops, there are certain unpleasant things you will need to get used to when wagering. The worst one might be when you handicap a game like a pro to no avail. You call the game almost perfectly and then guess what--some cruel twist of fate spoils a winner and turns it into a loser. It goes beyond the mere losing of a single wager, as well, with the impact sometimes sticking with you and leading to any number of negative outcomes. In this article, Loot explains how we should look at it, in order to better insulate ourselves from some of the drama that comes with NCAA hoops betting. Click here! Evaluating Incoming Players - Every season in college basketball, there are some prospects who enter the NCAA hoops ranks and create quite a buzz. It can be tricky betting on teams that are supposed to get a big boost due to incoming talent. In this article, Loot breaks down some of the different variables to negotiate when we bet on college basketball teams with big-time incoming freshmen, so we don't get left in the dust by the bookie. Click here to read! Looking for Dark-Horse Teams in the Preseason - College hoops bettors always want to put themselves in a position to hit the ground running when the season begins. One way we can do that is by starting to try to pinpoint teams that could be better than what the rest of the world is thinking. Every season, there are a group of teams that take the NCAA basketball world by surprise. There are actually things we can do to find out about those teams before the rest of the world does. In this article, Loot breaks down how we can get our radar in-tune with teams that could better-than-advertised this season. Click here to read! The Short Window of a Single Game - Over the course of an entire season, the best and worst college hoops teams will reveal themselves. But over the course of just a single game, things won't always go according to form. In 40 minutes of play, anything can happen. In this article, Loot explains how to act accordingly when faced with the many weird things that can transpire in single games. Click here for more! Monday NCAA Championship Game Pick: North Carolina Tar Heels -2.5.